Thank you to everyone who turned up for the village clean-up yesterday morning. 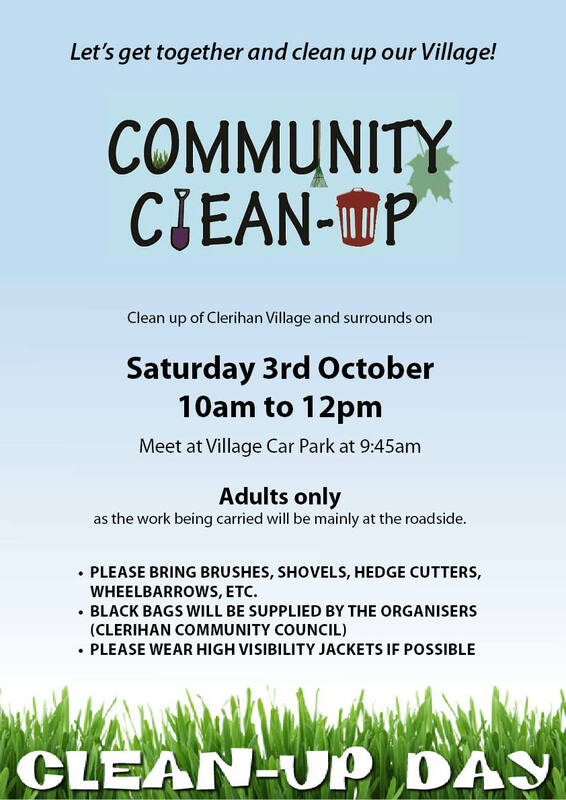 There was a huge effort put in and it’s fantastic to see everyone pulling together in an effort to tidy up our lovely village. Again thank you to all the lads who did amazing work clearing up the car park during the week. It has already made a huge visual impact on our village. We hope to continue this great work and hope we can get even more people on board. Adults only, as the work being carried will be mainly at the roadside. Please bring brushes, shovels, hedge cutters, wheelbarrows, etc. Please wear high visibility jackets if possible. THIS IS TO INFORM ALL OF YOU WHO HAVE (0504) 25100 IN YOUR PHONES AS A CONTACT NUMBER FOR THE GARDAI IN RELATION TO “TEXT ALERT”. PLEASE BE AWARE THAT THIS NUMBER HAS BEEN CHANGED TO A CLONMEL NUMBER (052) 6177640. THIS IS THE NUMBER WHICH IS NOW DISPLAYED ON ALL OUR ROAD SIGNS. PLEASE AMEND THE NUMBER ON YOUR PHONES NOW TO READ (052) 6177640. Thanks. Your local lotto has now crept over the €5,000 mark and is rising. There are weekly prizes for Match 3 and monthly lucky dips. 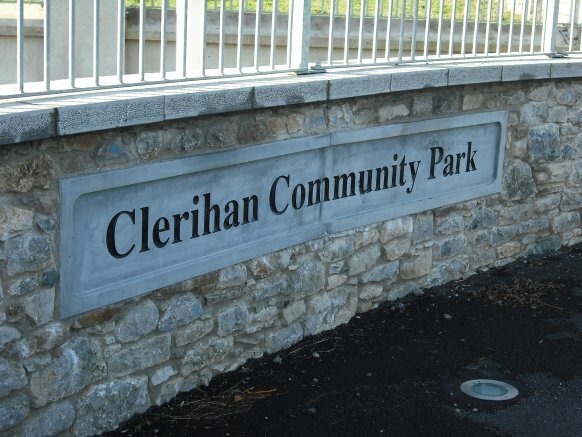 All the funds raised go directly to benefit everyone in the local community as they are used to improve the excellent facilities available in Clerihan Community Park which we all enjoy. 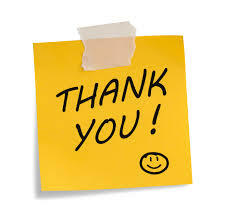 To those that support the Lotto – A VERY BIG THANK YOU. As this is an important source of funds for Community Benefit, we would like to ask everyone in the community to support by buying a ticket every week for €2. Tickets can be bought in Daybreak or the Village Grill, or from any of our lotto volunteers who call to your areas weekly. Remember, if you are not in, you can’t win. The All-Weather is available for bookings. If you would like to book a slot for a group of friends / neighbours / work colleagues etc., please contact Ciaran on 086-3679543. If you would like to get involved in a regular 5 a-side but don’t know enough people to get a group together, please text Ciaran with your name / number and preferred evening and we will try and put groups together. The All-Weather can also be booked for birthday parties. The text alert is now up and running. Thank you to everyone who joined and contributed to the set up costs. If we missed you when we called, and you would like to receive text alerts about any potential threats in the area, please let anyone on the Community Council know and they will be happy to call.